Gun violence in California increases for at least two weeks after Nevada gun shows, according to a recent UC Berkeley study. 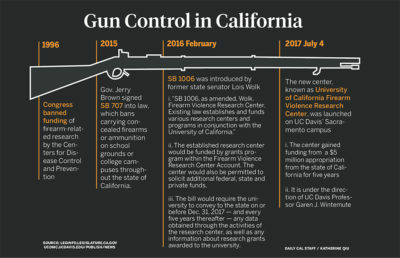 The study, published Tuesday in Annals of Internal Medicine, identified the rates of gun violence in California after 275 gun shows in Nevada and 640 gun shows in California between 2005 and 2013. These findings come after the Las Vegas shooting Oct. 1, in which 58 individuals were killed by legally obtained firearms in the largest mass shooting in modern U.S. history. 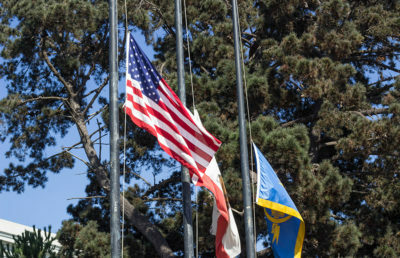 Researchers began the study in 2016, using data from the California Department of Public Health to identify gun injuries and deaths, according to the study’s lead author and UC Berkeley doctoral candidate Ellicott Matthay. 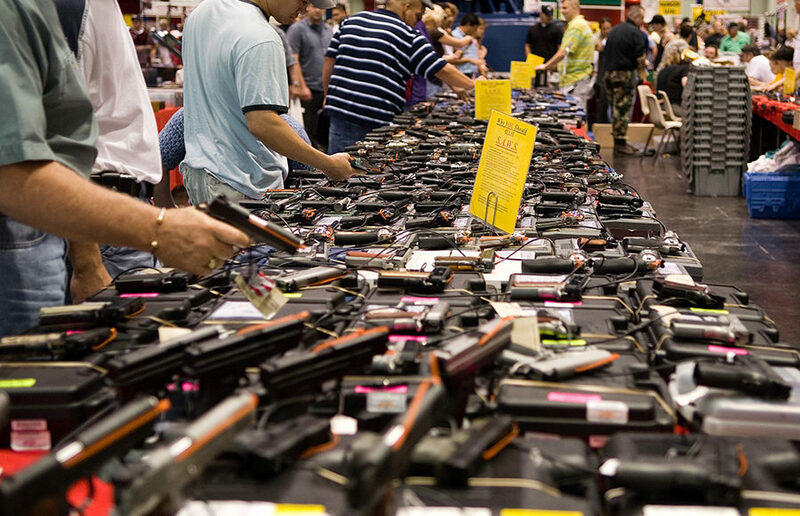 In regions of California within a two-hour radius of any Nevada gun show, the study found that gun violence increased by nearly 70 percent after the show but remained constant after California gun shows. Post-show firearm injury rates near Nevada shows increased from 0.67 to 1.14 injuries per 100,000 California residents. This translates to a 70 percent increase in injury rates, or 30 more firearm deaths or injuries, according to Matthay. 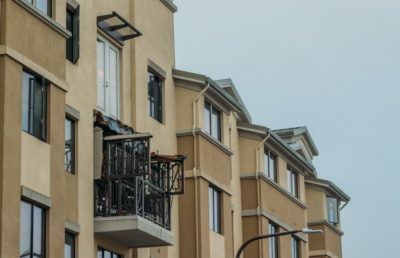 Because the study was isolated to regions of California near Nevada, Matthay said, the injuries and deaths could “add up” if the study was extended nationwide. “Overall, California’s strict regulations may be effective in preventing acute injuries following gun shows,” Matthay said, referencing the lack of increased gun violence after California gun shows determined by the study. Matthay added, however, that the ability for guns to travel between states may reduce the effectiveness of California’s regulations. The study, Matthay said, doesn’t explain what causes the violence to increase. According to Matthay, there are several possible explanations outside of the study. Illegal gun sales are more common at gun shows than at gun stores, and Nevada gun show laws are looser than California’s, Matthay explained. Additionally, Matthay said, the regulations enforced at gun shows are not as strict as they are at gun stores. Some people also resort to “straw purchases,” Matthay said, in which a person who can legally purchase a gun transfers a gun to someone that is legally prohibited from acquiring firearms. Gun shows in California and Nevada are very different, according to Garen Wintemute, director of the Violence Prevention Research Program at UC Davis, who contributed data on gun shows, such as locations and dates, to the study. In Nevada, Wintemute said, private individuals can sell guns directly to others and usually do not ask if someone is legally allowed to purchase a gun. This is part of an unspoken “don’t ask, don’t tell” system, according to Wintemute. Additionally, some guns that are legal in Nevada are illegal in California, Wintemute said. “Gun shows in California are really boring,” Wintemute said. Laura Cutilletta, legal director at the Giffords Law Center to Prevent Gun Violence, said Nevada’s looser gun laws result in deaths and injury in California. Universal background checks at the federal level, according to Cutilletta, are necessary to control the flow of guns between states. Cutilletta added that Nevada should more strongly enforce the background check law enacted last year. Brandon Combs, president of the pro-gun rights organization Firearms Policy Coalition, said in an email that most firearms studies are designed to support a policy position rather than seek objective truths. “Dr. Wintemute seems to be more than comfortable serving in his role as a politically-motivated, anti-Second Amendment data generator,” Combs said in an email. Wintemute, however, refuted Combs’ claims and said Combs’ statement was inaccurate. Wintemute argued that he did not unconditionally support all forms of gun control, citing a study he recently produced showing that certain forms of gun control are ineffective. “Our work is driven by the data, not by a policy agenda,” Wintemute said.